Posted May 2, 2017 by Seán Kinane & filed under Environment, Local Government, News and Public Affairs, Water. A Hillsborough County company is asking the county for permission to spread tons of human sewage waste over its property along the Manatee River system; but environmental activist Mariella Smith is fighting back against the proposal by Chris’s Plumbing Service. She calls it a ‘sludge farm’. And is this something that’s normally allowed or is there an ordinance against it or why are they applying for a special use? And you’re concerned that the pollution will get into the river system. There’s going to be a hearing at the Hillsborough County Commission, but, you’re also going to talk about it at tomorrow’s commission. “Right. It’s not a hearing, it’s just an informational item that Commissioner Pat Kemp has put on the agenda in order to begin interim discussion with the County Commission about this, because the special use land-use permit does not formally come to this County Commission, it just goes straight to one land-use hearing officer, one hearing [on] June 19th and boom, he makes the decision and it’s done. Those are my only questions. Is there anything else I need to know? “Sure. Let me tell you about the Little Manatee River system a little bit. 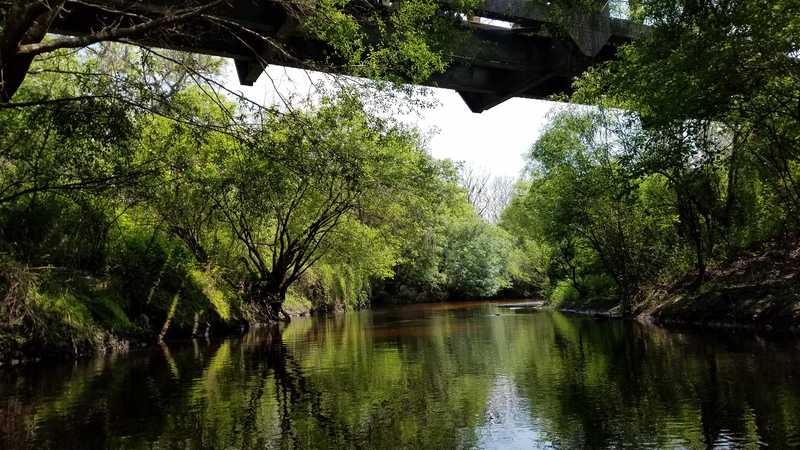 The upper reaches–the headwaters–where this site is located, is a prime nursery ground for many of the prized fish we have in the river and Tampa Bay. People come from miles around to fish in Tampa Bay and at the mouth of the Little Manatee River and Cockroach Bay for snook, redfish, blue crab, even tarpon are actually born up in the low salinity headwaters of this river. I’ve seen seahorses and diamondback terrapin turtles in this river. “The river is precious because it’s undammed–it’s one of the few undammed rivers–and it flows through miles of county preserves–our ELAPP lands–miles and miles of ELAPP lands and state parks and state preserves. So, it’s really pristine. One of the most pristine rivers we have–I think it’s in the top-10 of the state’s rivers. It’s especially valuable and we’re protecting it. It’s declared by the state to be an Outstanding Florida Water, which is a special designation and miles and miles of this river are included in the Cockroach Bay Aquatic Preserve. Chris’s Plumbing did not return WMNF News’ call by deadline. There will be a public hearing to consider the commercial septic operation’s request on June 19. Monday, June 19, 6:00 p.m. Here is a link to Mariella Smith’s blog post about this issue.